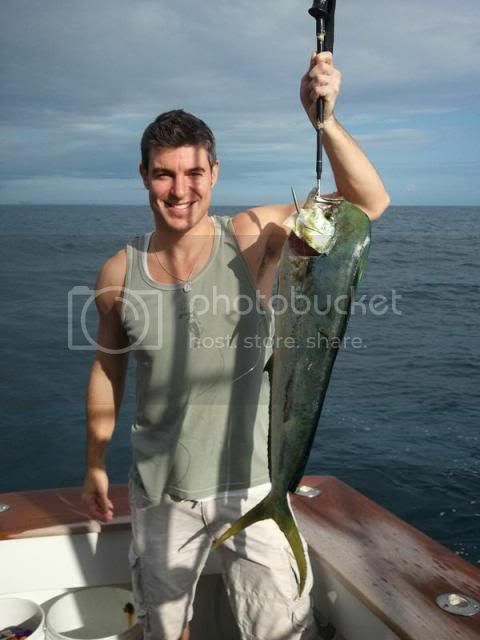 Jeff went fishing today at Palm Beach. If you like chocolate, you'll enjoy this 7 minute webisode of Jeff in Brussels. Woohoo, TODAY IS DAY 100!!!! I've really enjoyed watching Jeff travel around the world but particularly when he met his family. As an added bonus, Jordan visiting the family with Jeffl, they make a cute couple! Thanks everyone for keeping us up-to-date! Jeff didn't give Charlene a goodbye hug. Zsolt must have learned some editing tricks somewhere. The Cologne trip that we see here happened before the indoor skydiving (prior webisode) and the London sightseeing we see here happened after the England outdoor skydiving (future webisode). Oh well, the trip is almost over and we have another lengthy video (6 1/2 minutes). Word has it that Jeff will be on The Early Show this Thursday, Nov 4th. I will follow up with more concrete details once I get it. Wow, I wonder since he's jumped once if he'll ever do it again. And tht's a wrap! Lot's of fun to watch, hope we do get to see more footage, I am still a bit puzzled by Bangkok! for PEDALER's "amazing" job keeping us all updated on this journey every step of the way!! Thanks, Peach but the webisodes aren't over yet. I think Jeff needs to go back to Germany to give Charlene a hug. Again in this webisode , Kristen - hug, Katrina - hug. I would think there is one more webisode to go. Jeff will be on The Rachael Ray Show on Monday (11/8) to talk about his adventures and Zsolt did confirm today there is 1 more webisode in the works. Here's a great promo for an award that ATWFF 2 is up for. To me, a very interesting fact is the total number of viewings. At the time of the promo, which was part of a award submittal package, there were 7.3 million viewings. Source : http://www.dm2pro.com/articles/20101105_17/ By the time of the video (in Romania), they were about 3/4 of the way through. By extrapolation, there could have been close to 10 million viewings by the end of the show (there still is one more webisode left). I'm fairly positive that the results represent a great success for the series. I feel compelled to state the obvious: use of the title "Around the World for Free" is a blatant misrepresentation of what actually occurred. The concept of, as Jeff says, "interactive entertainment" is a valid and useful one. Having other people pay for all the airplane, train, bus, or other transportation fares is a really poor idea. That is because the fare for an Around-the-World airline ticket with many stopovers is less than one-third of what I estimate the individual flight fares to be. Both Jeff in ATWFF and Alex in ATWFF2 accepted huge amounts of money from strangers to get them where they needed to go. This was grossly inefficient. I feel that the show would have been just as interesting if the same major stops were made and the same sights visited. It is OK for people to pay for or provide food, lodging, area tours and admission fees, etc. in my opinion). This would have resulted in equally good television. I agree apskip. My one and only objection to this show is the times they rely so much on plane tickets being donated. It was lovely that the BB fan board was able to help Jeff so much....but how does that really support the concept of making your way around the world for free? It wasn't for free at all, just free for Jeff, and that mostly because of his BB involvement. And I would love to see less flights and more other means of transport. I liked that he tried to catch a ride on a big rig instead of flying at the end, that would have been fun to see. Even more fun if he worked a day unloading or loading in order to "pay" his way. I agree with both of you, it would be far more interesting if Jeff had to earn his way around the world by using his considerable people talents. Maybe lose the laptop? First, let me say that I'm assuming any future host of the program will come from a CBS reality show. Of the three main CBS reality programs, I only watch The Amazing Race. Can anyone speculate who could be the female hostess next summer? "We feel very honored by our two DIVA awards for AROUND THE WORLD FOR FREE. What made this Web series so significant is that it created a new style of programming in which the users created the story," said Joe Ferreira, Senior Vice President, Network Liaison & Original Content, CBS Interactive. "The feedback has been so impressive that we are already in the planning stages for next season, which will air summer 2011 and feature a female host."